Saginaw Bay: Palmer Road had limited ice fishing in five feet of water. 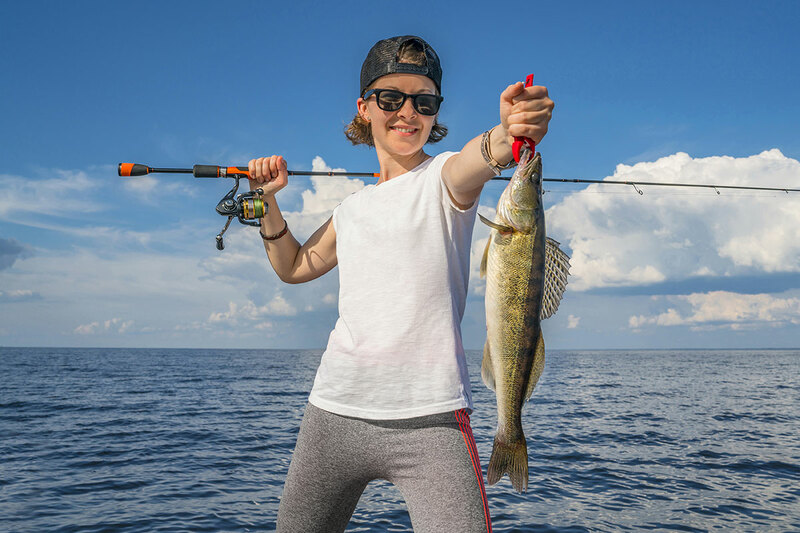 Catch rates for perch were slow. Very small perch were caught in the Eagle Bay Marina. 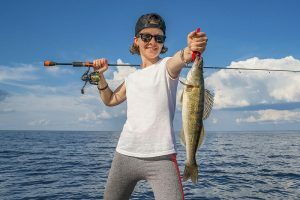 Those fishing off Neuman Road, Townline Road and the State Park caught perch on minnows and beads in four to six feet of water. Walleye were in seven feet. The ice in Wildfowl Bay was bad. Small perch were caught in the Sebewaing Marina and off Caseville. Most were using perch rigs with ice fishing poles. Saginaw River: Not much going on since walleye season closed. Ice is still a problem along the river. Quanicassee River: Boat anglers were fishing in the morning. Flint River: Suckers were starting to move in before the cold weather returned. 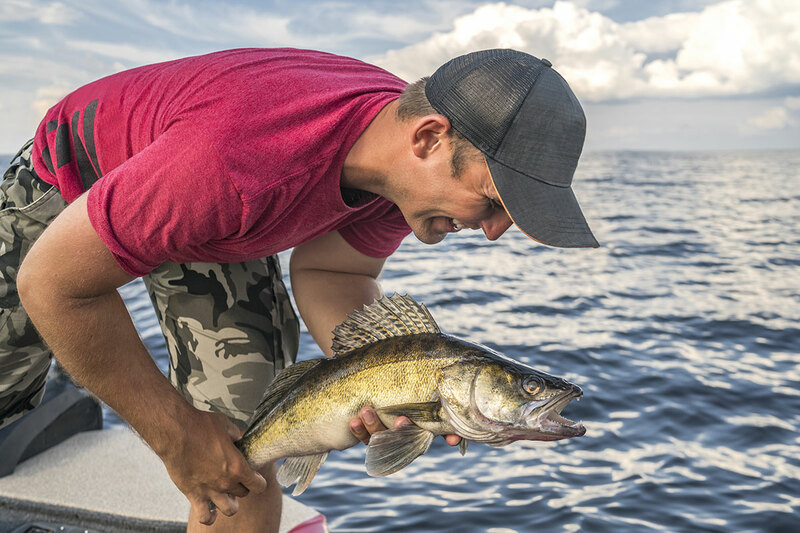 Au Gres: A few walleye were caught in four feet of water north of the breakwall. Au Gres River: Some are surfcasting for steelhead off the East Branch. Ice is a problem in the lower river. Rifle River: Was high, turbid and too much ice. Au Sable River: Even with a down turn in the weather fishing continues to get better. Steelhead were plenty between the mouth and the dam. The fish are hitting on spawn or wax worms. 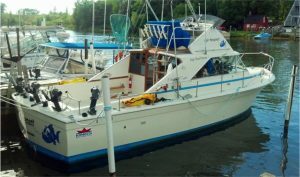 Oscoda: Those fishing off the end of the pier have caught steelhead on small spoons. 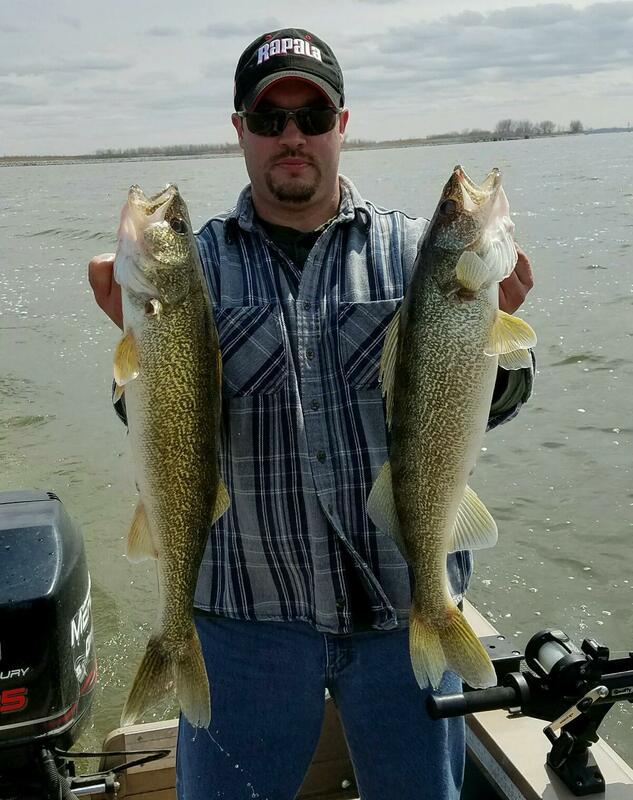 Some walleye were also caught but most are targeting steelhead. If anglers are looking for walleye, be sure of the boundary cut-off between the lake and the river. Ice conditions are not safe for the most part. Shorelines are receding and pressure cracks are forming because of the strong winds. Tawas: Ice anglers are still fishing off Jerry’s Marina. Perch and lake trout were caught in 10 to 15 feet of water. 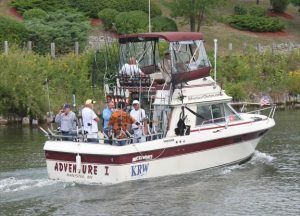 The State Harbor and marina were producing brown trout and lake trout for those using treble hooks and minnows. Tawas River: Those floating spawn bags have caught steelhead. 1. If you have an auger, check it for any damage and then dry all the blades before storing it. You may want to consult your power auger’s manual to know how to appropriately handle any leftover gas and how to protect the engine. 2. Remove the batteries from any of your electronics to prevent any potential damage from leaking batteries. 3. Make sure your portable shelter is completely clean and dry before storing. You may want to put some moth balls in it or hang it to keep pests at bay. 4. Take a full inventory of your rods, reels and tackle to see what you might need/want to purchase next year. 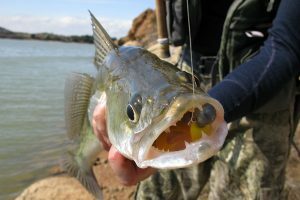 Also remove all bait or line from your hooks and lures for storage and make sure everything is dry. By the time everything is properly stored you’ll be itching to get out on your favorite stream, river or lake for some spring fishing!